Businesses increasingly recognize the benefits of social media. Social Media can enhance brand reputation, build connections with external customers, improve collaboration and more. 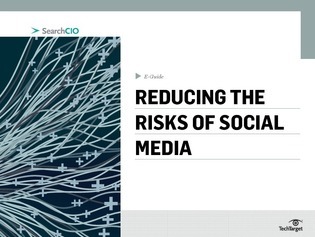 However using social media also carries risks. Does your company have a secure social media policy in place? Fortunately, this expert e-guide explores the potential identity, security and privacy threats associated with social media. Read more to learn how to increase business efficiency without risking your company's proprietary information.